The MLB trade deadline has come and gone, and the theme of the day was pitching, especially relief pitching. Aside from the headliners in Sonny Gray and Yu Darvish, most of the trades made in the 48 hours leading up to Monday’s deadline revolved around relief pitchers. Even without marquee relievers like Brad Hand and Zack Britton being traded, plenty of teams added relief help. Here are 10 teams that were able to upgrade their bullpen at the trade deadline. The Astros had their sites set on an impact reliever like Hand or Britton, but in the end, they settled for Francisco Liriano. While Liriano has primarily been a starter during his career, Houston will use him out of the bullpen. Liriano has had a rough year, but he’s faired well against lefties and does have playoff experience. The Brewers made an interesting deal Monday, adding Jeremy Jeffress, who they traded away at the deadline last season. Jeffress was Milwaukee’s closer the first half of 2016, and was nearly perfect in save situations. If he can replicate what he did during his last stint in Milwaukee, the Brewers will add a serious piece to their bullpen. The recent acquisition of Anthony Swarzak should also help a rather mediocre bullpen. At the deadline, the Cubs managed to add Justin Wilson, perhaps the most impactful reliever to be moved. Wilson has 13 saves for the Tigers this year, but in Chicago, he’ll be a setup man for Wade Davis, giving the Cubs a pair of shutdown relievers at the back of their bullpen. Arizona made a move to bring back David Hernandez, who was quietly having a strong season with the Angels. Fernando Rodney has been up and down as Arizona’s closer this year, but the trio of Hernandez, Andrew Chafin, and Archie Bradley does give the Diamondbacks a strong contingent of setup men. Along with trading for Darvish on Monday, the Dodgers also added lefties Tony Watson and Tony Cingrani. Los Angeles already had the best bullpen in the National League, and now the Dodgers are even deeper in the bullpen than before. The Indians didn’t necessarily need bullpen help, but they’ll be glad to welcome back Joe Smith, who had several good years in Cleveland. Smith was having a solid year in Toronto, and now he gives an already powerful Indians bullpen even more depth. The Nationals needed a bonafide closer, and they got one by trading for Minnesota’s Brandon Kintzier. Washington added Sean Doolittle and Ryan Madson earlier this month to improve a troubled bullpen, but with Kintzier, they finally have a closer. He’s not the most established closer in baseball, but he should be a big help for the Nationals. The Rays did a lot of work on their bullpen in the days leading up to the deadline. Adding Sergio Romo may or may not work out, but the additions of Steve Cishek and Dan Jennings should both help a modest bullpen that’s trying to support an excellent starting rotation. 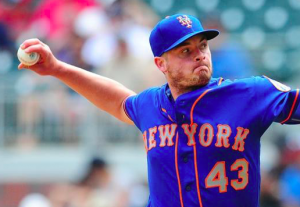 Boston quietly made a big move by acquiring Addison Reed, who has been serving as closer for the Mets for most of the season. Reed won’t unseat Craig Kimbrel as Boston’s closer, but he’ll give the Red Sox a formidable 1-2 punch at the end of the bullpen, which should be helpful during a tight race at the top of the AL East. Colorado worked hard on its bullpen over the winter, and at the deadline, the Rockies added Pat Neshek to that unit. Neshek has been outstanding this season and should become the primary setup man for closer Greg Holland. On paper, it was a relatively minor move, but one the Rockies hope can help secure a playoff spot.